I did a significant amount of research prior to partnering with Keller Williams and I look forward to explaining my reasoning with anyone. KW has more agents than any other Fortune 500 Real Estate Company for a reason and is still growing. It’s growing because it focuses on the agent growing their business…which is a win-win. The components that stand out are Culture, Education, Profit Sharing and Technology…and a CAP (ask me about it). I believe our Heroes make exceptional agents. Because you will be successful and financial rewards will follow, it’s in your families best interest to stop paying your broker at some point; have a CAP. Training Magazine routinely ranks KW as having a top training program from all Fortune 500 Companies and KW is ranked as one of the happiest places to work. We have a goal of having the most educated agents in the industry, so that’s where we put our effort. From having the best real estate business model in the industry so you don’t have to reinvent the wheel to the most specific and targeted new agent training program that shows you exactly what you need to do on when first starting out, KW is big on training and education! When we say family, we mean it. Our agents are an extension of our own families and we treat each as such. Our culture is a huge catalyst in our success as a company. Agents aren’t afraid of sharing ideas and secrets from their businesses because they truly care and will do anything to help each other. This sense of belonging has kept us growing even in the worst economy! Focusing our attention into the future of what and where real estate technology is headed is keeping our agents ahead of the competition. By creating mobile apps, Internet lead generation modules and business simplification tools, we can keep our agents doing what they do best. Selling real estate! This won’t cost you a dime and you’ll get money in your bank account every single month for the rest of your life! By simply sharing the business idea of Keller Williams with other like-minded associates and contributing to them joining the company, you will receive a portion of the offices’ profit for helping grow the company. 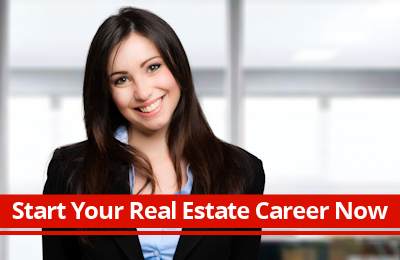 There are plenty more reasons you should choose Keller Williams as the place to build your real estate career. We’ve put together a Top Ten List to expand from these four major points, but if you’re already convinced, just click here to start the KW journey!